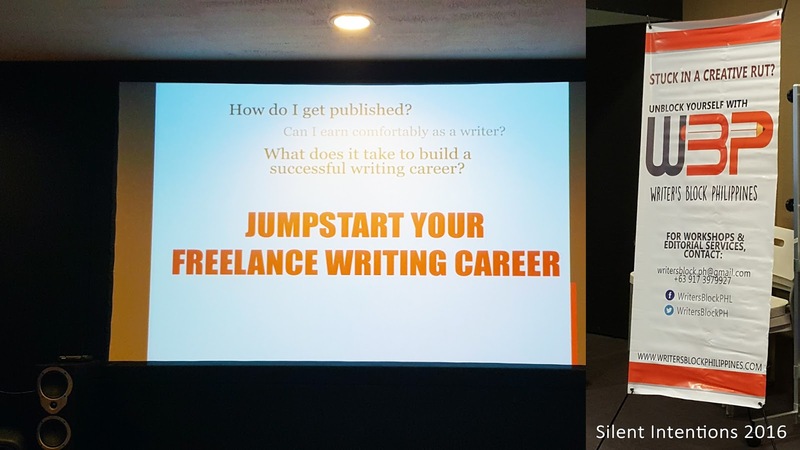 Just got back from a successful, informative event called "Jumpstart Your Freelance Writing Career" hosted by Writer's Block Philippines. I'm actually taking this seriously. This writing thing. Freelance writing is not a far-away dream anymore. It's actually attainable and can be sustainable as well. Thanks to the two power-women who had the passion to share some tips and tricks from their experiences about doing freelance writing as a career. To be honest, I never thought it would be possible. I passed that stage in my life when I thought writing or blogging is an impossible career. Then blogging became a hit. Suddenly bloggers are being recognized as accomplished writers everywhere. That's when I realized I had missed so much. Now, back to the event. Held at Fully Booked, BGC Taguig PH (By the way, that was an AWESOME choice of venue. Thank you for feeding the bookworm inside of me. ), registration started at 1pm and the workshop/seminar commenced thereafter. I was brave enough to sit at the second row to capture this photo. It's wonderful to know that someone somewhere has finally taken writing seriously as a career. Indeed, it was refreshing for me to see and know firsthand that there are interested individuals who wants to take their simple hobby as a sustainable career. Its good to be with a company of writers once in a while. Their passion and seriousness with their craft is really contagious. It just helps so much to know that somebody else has already done it. And it was also made special with the fact that they invited a guest speaker, Mr. Evan Tan, of Freelancer.com. I'll write some things that I learned from this event soon. *This is not a sponsored post. Fees and other expenses were all paid by me. 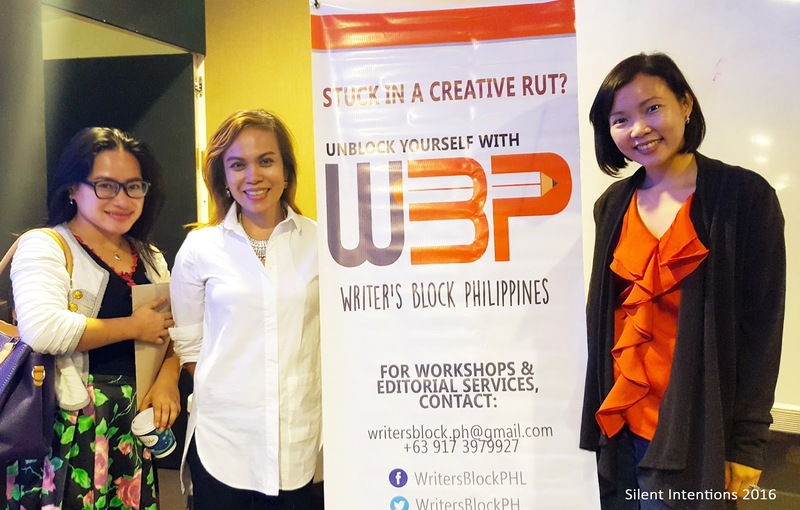 For inquires about future events, visit their website at http://www.writersblockphilippines.com.